to take Family Grooves to the next level. 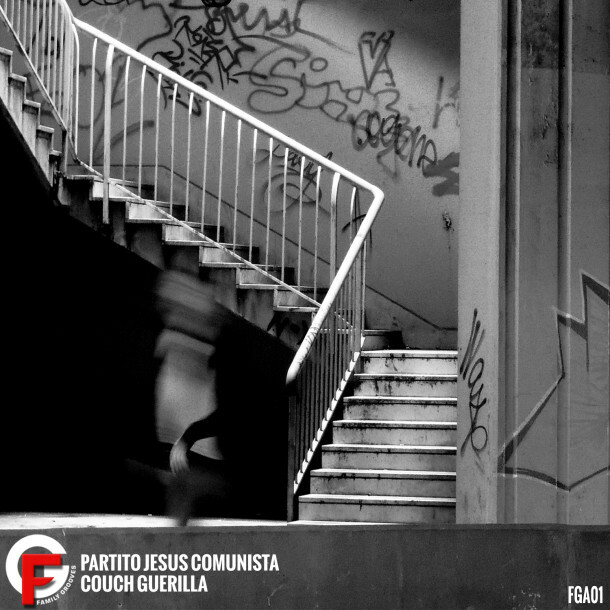 We are proud to present a 9 track album by Partito Jesus Comunista – “Couch Guerilla”! Partito Jesus Comunista isn’t a party, isn’t Jesus, isn’t even a communist. PJC is in fact just a Deep House, Electronica and Chill Out producer from Porec, Croatia. Deep House all the way to Chill Out, spiced up with live instruments and great atmosphere. Vocalists are PJC, Vector Smart and Pop Jive, while “Calm” was produced in cooperation with Marc Grabber. Artwork photo by Sanja Tudor. Big thanks to all the artists!